A tax audit or tax examination is a review of your tax return by a governmental taxing authority to verify that the information you reported is complete and accurate. Baltimore tax attorneys and tax audit professionals at Rosenberg Martin Greenberg combine legal, business and accounting experience to provide clients with creative and effective representation during a variety of tax audits. Rosenberg Martin Greenberg offer in-depth counsel for investigations initiated by the IRS or state authority and have extensive experience with personal income, business and sales related tax issues. We provide not just tax audit help, but we also advise our Baltimore-area clients on ways to better insulate themselves against future mistakes and penalties. The Internal Revenue Service has broad authority to audit individuals and businesses. An IRS audit may expose a wide variety of federal tax issues ranging in complexity from improper charitable deductions to unreported foreign income. Federal audits may take place through the mail, at a local IRS office, or at a taxpayer’s place of business. Though the initial inquiries may seem simple and straightforward, IRS auditors are notorious for expanding the scope of their examination to include more issues and even additional years. States also have the authority to conduct audits. For example, a state may audit an individual to review whether that individual properly claimed a state income tax credit. In addition, a state may audit a business to ensure it is correctly reporting gross receipts, sales and use tax, admissions and amusement tax, personal property taxes and telecommunications taxes. State audits have become more common as state and local jurisdictions seek to refine their tax systems and pursue revenue. Rosenberg Martin Greenberg is particularly well-equipped to provide Maryland residents with tax audit help in the state. Businesses face not only income tax audits but also employment audits of workers such as withholding issues and worker classification. Certain issues are more prevalent within certain industries. For example, a business in the service industry, such as a bar, restaurant or nightclub, may be audited if employees fail to accurately report their tip income. Almost every state in the U.S.A. requires businesses to charge and collect a sales tax on taxable purchases. Consequently, states frequently audit businesses to ensure that the proper amount of sales tax is being collected, reported, and remitted. Audits can follow different procedures depending upon the type of tax or taxes being examined and what taxing authority is conducting the audit. The Internal Revenue Manual (“IRM”) generally governs the IRS audit process but different IRM procedures apply if the IRS audit involves employment taxes rather than income taxes. States follow their own internal audit procedures that may or may not be made available to the public. Generally, after an IRS or state audit is completed, a taxpayer who disagrees with the auditor’s determination is afforded the opportunity to appeal that determination. If the taxpayer still disagrees with the result after an administrative appeal, then the taxpayer may seek relief through the applicable federal or state court system. 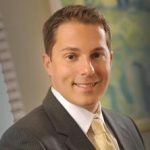 Those in need of a Baltimore tax audit attorney are welcome to call Rosenberg Martin Greenberg to assist in any phase of this tricky process. Audits not only result in additional tax liability but may also give rise to penalties. Penalties are generally used by tax authorities to enhance voluntary compliance by demonstrating the fairness of the tax system to compliant taxpayers and increasing the cost for noncompliant taxpayers. For example, the IRS commonly imposes an accuracy-related penalty when it determines that an underpayment of tax resulted from the taxpayer’s negligence or disregard of tax rules and regulations. States also impose penalties generally for the same reasons. When the IRS or a state taxing authority imposes penalties, a taxpayer may obtain relief from those penalties under certain circumstances. Taxpayers need to prepare for any examination of their returns, and to understand their rights and responsibilities when dealing with the IRS or the Comptroller of Maryland. Taxpayers are required to cooperate during audits, but they also have rights and privileges under federal and state law that affect how an audit proceeds. At Rosenberg Martin Greenberg, our team of Maryland tax lawyers, Certified Public Accountants, and forensic accountants have in-depth knowledge of federal and state tax policies and procedures, taxpayer rights, and the underlying substantive tax and accounting issues that arise during an audit. We have extensive experience in representing individual taxpayers, sole proprietorships, corporations, partnerships and trusts in complex examinations. 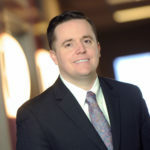 If you are seeking tax counsel for a federal or state audit please call Brian Crepeau at 410.649.4981 or email bcrepeau@rosenbergmartin.com.